The Horizon Lectures Adventure Fund aims to encourage and enable people to undertake their own adventurous trips, ideas and expeditions. We welcome applications from all walks of life and will happily consider all sorts of ideas – from expeditions in far-flung destinations to local adventures in the UK. Successful applicants will be asked to share their adventures by delivering a short talk to our audience and, where possible, providing updates and photographs from the field. We are currently accepting applications for a grant of £450. Full information and guidance on making a successful application is available on the pages above. Please note, there is no fixed closing date and applications can be made at any time. If you have any questions, or would like to discuss anything before making an application, please don’t hesitate to get in touch. Good luck! Thank you for showing an interest in applying for a grant from the Horizon Lectures Adventure Fund. The application process is (hopefully!) not too time consuming and the following information is intended to help you make the best application possible. The key aspect of successful applications will be the level of interest and engagement for our audience; unique and compelling ideas that will make a great story will be at a significant advantage. Our general theme is “adventure, exploration and discovery” and our audience is typically made up of people who have a genuine interest in the outdoors. We welcome novel ideas, perhaps outside our usual topics, but to be successful they must appeal to our core audience. If you’re unsure if an idea may be suitable you’re welcome to contact us in advance to discuss it before making a full application. We strongly recommend you provide as much detail as possible on your application form, and be honest about the areas of weakness. An application showing a well-thought out expedition, with a realistic budget and awareness of the challenges is far more likely to succeed than an application that includes insufficient detail. Audacious ideas are very welcome, but be honest about the difficulties and how you plan to overcome them. Often the story of a challenging expedition that didn’t go as planned is far more interesting than one where everything goes perfectly! The successful recipient will be expected to deliver a 25-minute talk to our audience in Oxfordshire, this is likely to either be as a “warm-up” for a full-length lecture or as part of an event featuring multiple grant winners. Please note that to maximise the value available for the grant we are unable to cover additional travel expenses for delivering this talk. We recommend you take this into account, especially if travelling from outside the area, before making an application. It’s important to consider how you’ll be able to communicate your expedition to our audience – try and write in an entertaining style and focus on what will be engaging for our audience. Have you delivered lectures before? (Don’t worry if not, we can help and offer advice!) Are there any keen photographers coming with you? Will you be able to provide updates from the field that we can share on social media? Unfortunately, the number of grants we can make is very limited which means that many applications, even those with fantastic ideas, will be unsuccessful. Hopefully the application process is relatively simple and straightforward and, of course, we’d still love to keep in touch with unsuccessful applications to see if we can help in future. The grant is made to the single individual named on the application. You may of course share the grant amongst team members but the original applicant remains responsible for fulfilling the requirements of the grant. Applications will be judged by the team behind Horizon Lectures however we may seek advice and opinions from others who might have more specialist knowledge in your expedition area. If you have specific concerns, or would prefer we only discuss your application within the Horizon Lectures team, please ensure this is clearly stated when submitting your application. The applicant must ensure they respect the local laws and customs of the areas they visit and, where applicable, have obtained all neccesary permissions and permits. The grant shall be returned in full if the expedition is deemed to have acted in a way that may bring Horizon Lectures into disrepute. In April 2017 Jen and the team behind Greenland Expedition 2017 headed off on a month long trip to explore the Stauning Alps region of Greenland. 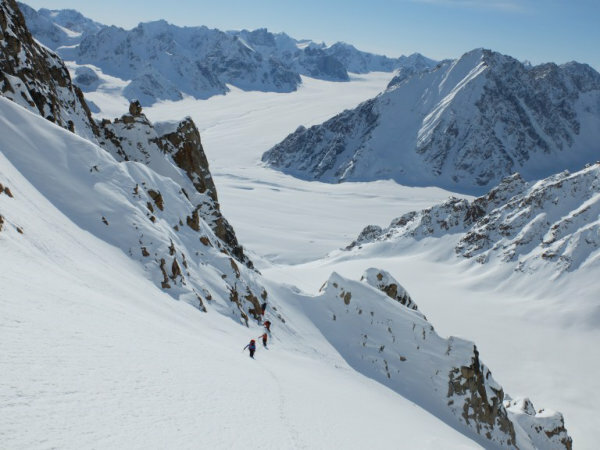 They had a really varied set of objectives; from completing first ascents of unclimbed peaks to making a number of detailed scientific measurements along the way. In addition one member of the team, Jesse, suffers from a genetic eye condition which means he’s almost blind. The team aimed to show that in spite of the difficulties some of us must face, where there is hard work and determination, great challenges and adventures can be achieved. 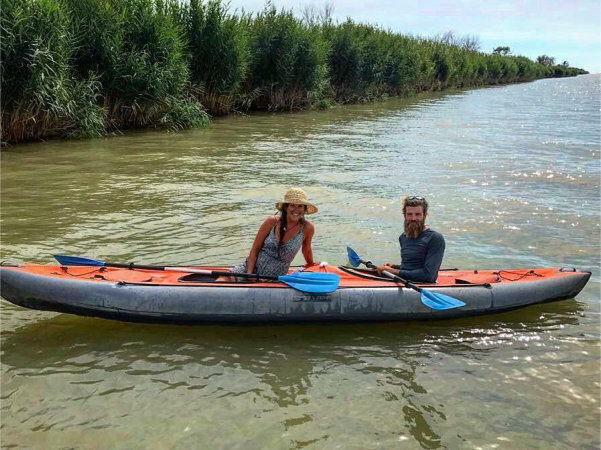 In February 2017 Charlie, along with expedition team-mate Callie, set off on a 5000 mile journey “Following The Line” between Europe and Asia. Their planned route includes skiing, paddling and cycling from the freezing coast of northern Siberia to the Bosporus strait in Istanbul. Along the way, they hope to try and challenge the common portrayal of “them and us” as they look at the diversity of landscapes, religion and cultures on the border that has traditionally demarcated East and West.